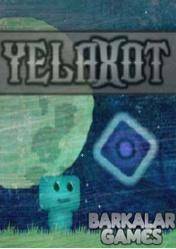 Digital code or cd key of Yelaxot game for Steam It is an indie platform game in which your character moves through a world of cartoon graphics and full of obstacles, enemies and puzzles to solve. This product is a digital version for Steam platform, which means that once bought the cd key of Yelaxot, you must enter it in your Steam account, specifically in your digital games library to download it. Below are a number of shops with their respective prices sorted from lowest to highest, so you can easily locate the best price for the cd key of Yelaxot. Delivery times and payment methods depend on each store, so we recommend that you carefully read the information in each of this stores.